We are currently booking caribou hunts in unit 23. It appears that the ongoing political turmoil has settled down. Be aware there is always the risk this may return but it looks good for 2019 and 2020 hunts. We are also bookings hunts in ANWR-Unit 25 and out of Bettles Alaska for Unit 26 and 24 . We can ship our camp and raft packages almost any where in the state! We are also booking World Class Dolly Varden, Sheefish and wilderness float trips on both the Noatak and Kobuk Rivers. Lots of Good options! We are your best value in outfitting your hunting trip to any of the Western Arctic National Park Lands. 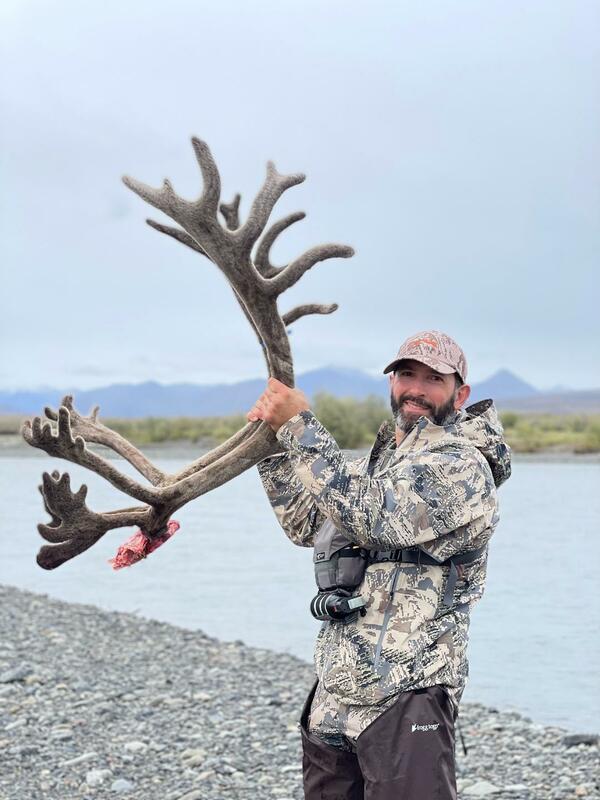 We are now offering Trophy Caribou Hunts in Unit 25 and 26 This is the central and eastern side of the Brooks Range and out of state hunters can currently take 2 caribou bulls and over the counter moose in unit 25! This was a 2017 early hunt in Unit 26 out of Bettles Alaska. 2018 Unit 23 float hunt. Unit 23 is thick with Griz and this one measured 8 1/2 feet! 2018 was a banner year for our groups who were looking for the largest Griz in North America. This group saw 40+ Griz over 10 days and 100+ miles on the upper Noatak! You want Griz? We have Griz!